In recent decades, advances in technology–aided by low fuel costs and driven by the nation’s voracious demand for energy – have allowed mining companies to extract coal more profitably than through traditional underground mining methods. In Appalachia, these developments led to a rise of a new kind of coal mining, aptly named by its critics as “mountaintop removal,” because forest cover is first cut away and explosives are used to blast ridge tops and expose the coal seams beneath. This form of strip mining also produces tons of “waste rock” (the parts of the mountain of no use to coal companies) that miners dump into neighboring valleys. The process is called “valley fill” and has buried more than a thousand miles of streams, according to the U.S. Environmental Protection Agency – posing immediate health and safety risks to local residents, threatening downstream drinking water supplies, and degrading or destroying some of the most ecologically significant forest and aquatic habitats on the planet. Although the physical impact of mountaintop removal (MTR) on the landscape is more extensive than logging or development, there had been no accounting of the amount of land and locations affected until Appalachian Voices asked us to investigate. The results were shocking. As miners began blasting away at mountains throughout Appalachian coal country, activists fought back passionately by forming new grassroots groups, taking to the streets, lobbying lawmakers, and speaking out in the press. But nobody – not even the government agencies charged with overseeing the industry – had a reliable map of where mining was underway and how many mountains had already been leveled. In fact, West Virginia officials acknowledged a significant mismatch between the mining permits they had issued, and actual mining activity in the state. Landsat satellite images and aerial survey photographs were publicly available but interpreting the data required expertise that the activists did not have. So, the nonprofit group Appalachian Voices called on SkyTruth for help. Our experts used the satellite data to map the historical occurrence of mountaintop removal mining over a 30-year period. We selected 24 of the best cloudless, summertime shots for the years 1976, 1985, 1995 and 2005. The next step was to come up with a classification system that identified active mining, and differentiated between mountaintop removal mines and other types of surface mining in the region. The U.S. Office of Surface Mining’s official definition of “mountaintop” mining was too vague for a GIS model. So, using their guidelines, we incorporated the concept that the mines had to cross ridge tops and impact a significant area of ridge top. We then checked our work for accuracy against detailed aerial photographs. The resulting map showed the spread of mountaintop removal mining across a 59-county area in Kentucky, West Virginia, Tennessee, and Virginia. 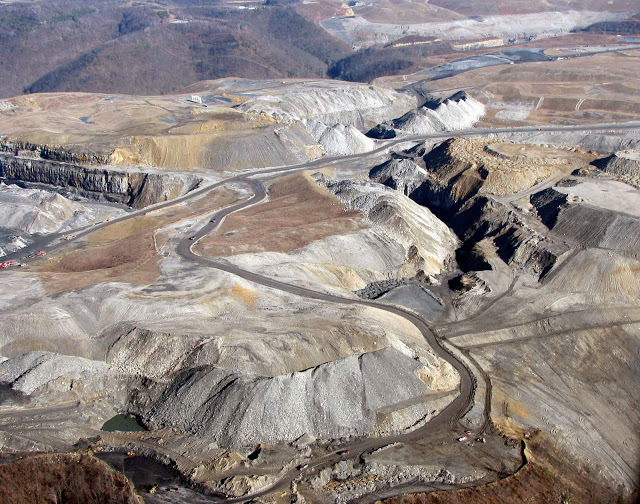 The amount of landscape directly impacted by mountaintop removal increased by 3.5 times from a total of 77,000 acres in 1985 to more than 272,000 acres in 2005. The size of individual mines also increased, some to more than 15 square miles (an area as big as the city of Alexandria, Virginia). In all, the satellites show more than 2,700 ridge tops were impacted. Read more about how the analysis was conducted. Matt Wasson, director of programs at Appalachian Voices, says the map has been an invaluable resource for those fighting mountaintop removal. Wasson says his group used the SkyTruth research to build the initial version of its “What’s My Connection?” online map that lets people to type in their zip codes to see how their electricity supply is directly connected to mountaintop removal mining, and the communities affected by that practice. More recently, Appalachian Voices and the Natural Resources Defense Council employed our map in its “Reclamation Fail” project that refutes mining industry assertions that valley fills provide much needed level, buildable land to stimulate local economies and create jobs. When the two nonprofit groups put the industry claim to the test, they found the vast majority – 89 percent – of the valley-fill sites had seen no economic development activity. We also used the historical data and variables such as coal thickness and overburden (the rock and soil that has to be blasted and removed before reaching the coal seam) to create a risk map that helps predict where coal companies might go next. We put the map to work in a preliminary investigation of what was driving mining expansion in Wise County, Virginia. Independent academics are also using our MTR dataset to produce groundbreaking studies that are fundamentally changing the debate about the societal costs and benefits of MTR. In a 2011 study, Dr. Melissa Ahern (health economist at Washington State University), Dr. Michael Hendryx, (epidemiologist at West Virginia University) and their colleagues found “significantly higher” rates of birth defects in communities near MTR operations. 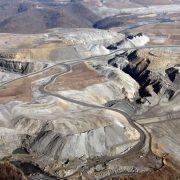 And Dr. Emily Bernhardt, a biologist at Duke University in Durham, North Carolina, led a 2010 study that provides the first conclusive evidence of mountaintop removal mining’s direct link to downstream water pollution and related environmental destruction. Bernhardt and her colleagues used the historical data we had mapped along with studies of water quality and invertebrate biodiversity collected by the West Virginia Department of Environmental Protection. They found that mining operations – even relatively small ones – can seriously debilitate ecosystems. The study, which was featured in the August 9, 2010 issue of Nature magazine and later published in the peer-reviewed journal Environmental Science and Technology, raises serious doubts about the industry’s contention that there is no need for tighter water-quality standards to keep mountaintop removal from contaminating drinking water relied on by communities downstream of the mines. When asked by Nature about the significance of the new study, EPA officials issued a statement calling the findings “generally consistent” with its own research. This work underpins EPA’s controversial decision to revoke a mining permit that had already been issued by the Army Corps of Engineers. It was only the second time in EPA’s history that they have exercised this authority under the Clean Water Act, and though it was challenged all the way up to the Supreme Court, the EPA’s authority to overrule the Army Corps of Engineers was reaffirmed in federal court in 2014.